There are many reasons to remortgage your home, including saving money, but one option often over looked during the recent recession is to consolidate debt into a cheaper monthly repayment. 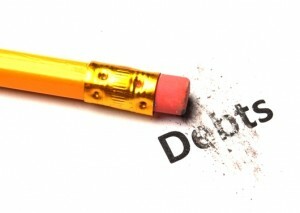 To consolidate debt you must have equity in your home, and you must be aware that failure to meet your remortgage payments can result in you losing your home, but your mortgage is one of the cheapest debts you will have, except for a student loan, and with interest rates currently so low, you will see considerable monthly savings. By remortgaging your home you can release equity which you can use to pay off your more expensive debts, like credit and store cards, or any finance you may have on sofas, cars or kitchens and bathrooms. The average interest rate on a credit card is around 20%, but on a standard fixed remortgage is around 4%, which makes a huge difference to your monthly repayments, and will save you money in the long run. Of course choosing to consolidate your debts this way is only any use if you then don’t re-run up huge debts on the credit card after clearing it, but the relief and monthly saving on interest payments should give you more money to spend, even after paying extra on your remortgage after taking out a larger mortgage to release the equity. Not everyone is able to remortgage their home in such a way, and you must have equity in your home to release equity. To work out how much equity you have in your home you must first work out the value of your home, and take the value of your mortgage away from this. So someone who has a £125,000 home with a £80,000 mortgage has £45,000 equity in that home. The important thing when consolidating your debts through remortgaging is to work out whether you will save money on a monthly basis, even if the mortgage interest rate increases by a couple of per cent. In the vast majority of cases the answer will be yes and remortgaging can be a very effective method of debt consolidation. Getting your finances in order can take time — especially if you have a lot of money on the table. Even though they call debt consolidation by a different name in the UK, the process is still the same. You’re going to be rolling all of your debts into one, thus saving yourself on monthly payments and interest. More of your money is going to go towards the principal, which means that a debt that seemed to be impossible to get rid of will actually be a lot easier to handle as time passes. There is going to be a day where you don’t have to think about your debts. There is going to be a day where you don’t think about how much you owe. There will be a day where you don’t dread answering the phone. However, a lot of people have had debt for so long that it’s hard to realize that they have to have a plan for when they don’t have to dread checking the mailbox. In other words, there’s plenty of life waiting for you when you are finished with a debt consolidation program. The key now is to make sure that you have the time to explore your options and then take action. When you’re trying to transition into a life that doesn’t include heavy debts, one of the first things that you’re going to need to think about is growth and it needs to be a certain kind: rapid. Even though no one can guarantee that your investments will grow, your chances of having better growth is going to be higher than if you were to just let your money sit idle. There’s risk to everything, so you just need to think about your goals and figure out how much risk you’re willing to deal with. The good news is that you don’t have to be too terribly risky and the bonus here is that you can even get some tax savings in the process. The approach is going to be to turn to a stocks and shares ISA. ISAs are accounts that are shielded from taxes. Saving money on your taxes is always a good thing, and you will need to make absolutely sure that you take advantage of this benefit. The best stocks and shares ISA can bring incredible value to your portfolio immediately because they run smoothly without really any interaction from you. It’s reasonable to assume that an Investment ISA can be risky, but again — all things in life are risky. If you really focus on the bigger picture, you’re going to be just fine. Why not get started today? Winding Your Way Through the World of Bankruptcy, Debt Consolidation, and Debt Collectors – Oh My! Getting out of debt can be a scary process. If you don’t have all the right information trying to go get the information can be a pretty stressful experience. The last thing that you want to do is give up before the hunt for quality information has begun. So we wanted to provide a little action plan for you to sink your teeth into. First and foremost, bankruptcy is something that you don’t have to pursue. Yes, it’s something that’s designed for you to take when you run out of other options, but that doesn’t mean that it’s the only option that will ever matter in your life. You are better off making sure that you actually think about other roads to getting what you want, like debt consolidation. If you still have a steady income and your debts aren’t too high then debt consolidation is actually a nicer approach than bankruptcy. Debt consolidation gives you a little more control, but you don’t have as many protections. If you break your debt consolidation plan, you might have to go right back to those high interest payments that you were doing before the plan was in place. That can be a really big strain on your finances, and that becomes a problem. 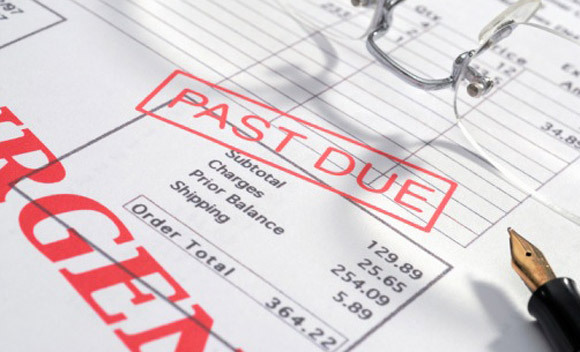 Debt collectors can be a strain on anyone — especially when they seem to call at all hours of the day and even through the evening. Once there was a time where no debt collection agency would dare try to call you while you’re trying to put food on the table for your family. We don’t live in those times anymore. You have to be aware of what’s around you when it comes to your finances. This might mean pulling your credit report and actually seeing where you stand. In addition, you need to make sure that you have a budget in place. These things can take time to build, because you don’t want to try to go with a strict budget. That’s only going to make you more stressed than anything else. If you wait till the last minute to put together your financial blueprint, things might not go the way you expect. Therefore, it’s better to relax and take things in stride. Yes, you’re going to have to probably make a lot of tough decisions, but nobody ever said that you have to make them quickly and to the point where you get overwhelmed. That’s just a recipe for disaster as you decide not to do anything at all. Take care of yourselves out there — you only have one life, so why let debt control it? Overseas Property Investments Can Follow After You Complete a Debt Consolidation Program! Imagine how good it would feel to complete your debt consolidation program. Trust us — it can sound like it’s going to take forever to get it done, but the truth of the matter here is that you don’t have to wait forever. The nice thing about a debt consolidation plan is that you get to a point where you have paid back everything on your plan. That leaves extra money to do other things, but the question is simple: where do you really go from here? Every family has a “pool” of money. When you finish paying down your debts, your pool is going to look a lot more luxurious than it might have been. Instead of spending it on material things, why not spend your money on things that will grow your future to incredible heights? That’s actually where overseas property investments come in. Yes, it’s going to take a little time for you to get into the world of investing in property and real estate, but you just need an advocate to help you move things along. If you’re really serious about growing a stream of income that could help you make retirement a little more comfortable and a lot more interesting, this could definitely be something to consider. BMV? No, we didn’t miss a letter and mean BMW — we’re talking about below market value properties. Though if you really get into this world you’ll actually be able to get a BMW someday with a lot of planning and work. That’s because BMV properties rise in value with just a little time and consideration. That’s good news for people that want to move into the market quickly and then build up slowly. Yes, there are a lot of things that you’re going to need to look up, but we promise you that once you get into the flow of real estate you’ll be actually asking yourself why you waited so long to get started. It’s better to ease into the market and grow, and when you have a good team behind you there’s really nothing that you can’t do. The future is uncertain, but that doesn’t mean that we can’t be prepared for it. That doesn’t mean that we don’t think about the best ways to take care of our families. It also doesn’t meant hat we don’t do our best to figure out what our options are — even when people think that we don’t have a need for that type of information. You might be doing just fine in life, so why even think about critical illness cover? Well, the truth of the matter is that no one on this earth knows when something bad is going to happen. You might have a successful life right now and your family is taken care of, but what happens if you were to get sick a month from now? Things might get very tight at first and quickly descend into chaos. While government assistance is available, it’s never really as much as you really need. This leads to a lot of stress and frustration that could have been avoided. If you really want to make sure that you have things together, you’re going to have to take action now — and definitely not later. Life insurance quotes are the real gateway for critical illness cover, even though it might sound weird at first. Though when you step back and really think about it from the right perspective, it makes perfect sense — you want to make sure that you have your family taken care of from every angle. No need to worry about the future when you know that even if the worst happens and you are no longer here to take care of your family they will still be well protected. That’s what everyone wants. That’s the best way to go in order to get what you really want anyway. Think about all of the outstanding obligations that you have from a financial perspective. You always want to make sure that you’re thinking about the bigger picture and finding out what you ultimately want to do. More coverage is better than less, but you want to strike a balance between both extremes in order to save money. Of course, if you know that you can spare the extra expense, it might make sense to add a little more coverage just to accommodate rising cost of living over time. We know that it’s a hard issue to talk about, but the real power behind critical illness cover is peace of mind. You want to know that your family is safe and well, even when you are no longer able to take care of them. It can be a hard blow to deal with, but you and your family will get through it — look at your options today! Professional hustlers and credit-card companies live by a similar credo: “It’s immoral to let a sucker keep his money.”* The profitability, and therefore the popularity, of preying on people’s weaknesses and misfortunes is timeless — computers and campaign contributions have made it a near-science. Executives at Big Tobacco must admire the political might of their credit-card peers and a “captain of industry” like Tony Soprano might childishly wonder why his loan-sharking operations are considered despicable while purveyors of plastic are permitted to charge interest rates that can exceed 50 percent with the blessing of Congress. 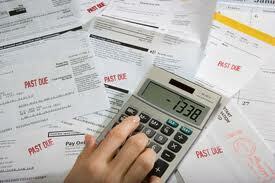 Credit cards are a fact of life, but the debts that follow them don’t have to be a part of yours. The low-interest “teaser” rates offered by credit-card companies should be treated more as a caution than an inducement, much like the free packs of cigarettes handed out on the street. No credit card will charge you interest if you pay within 30 days but the debt barons are counting on you to only pay a fraction of what you owe, and pay interest on the rest. A charge card such as the American Express card, by contrast, won’t allow you to extend your payments — embrace this “tough love” approach, if you can. • If you miss a monthly payment, there will be a fee, usually $29-$35; If your balance exceeds the credit limit, even if this is due to an incorrect charge to your account, you will be charged a fee. • If you miss two payments in a six-month period, the low introductory interest rate which you were offered will skyrocket, sometimes to more than 20 percent. • Oh, and you might not even receive an option to reject the new terms — the tireless computers of your credit-card company may just go ahead and change the rate unilaterally (“open the pod-bay doors, Hal”). As long as the news is added to your statement, however discretely, they’re off the hook and you’re on it. • Sometimes, in the month when your rate rises, the new, higher rate will be applied retroactively — some or most of the previous month’s balance will be charged the more expensive rate. • You might be charged an annual fee just for having the credit card — this fee might be hidden in small print in the application and not specified in the agreement you receive with your card. • You might even be charged a fee if you pay off what you owe and close the account! Credit cards are big business, and big business knows how to play under the Big Tent. In the last election cycle (1999-2000), the commercial banking, miscellaneous finance and finance/credit industries donated almost $19 million to Congress, with 58 percent going to Republicans and 42 percent to Democrats (Source: Center for Responsive Politics). My other Senator, Chuck Schumer, was the single largest senatorial recipient of contributions from the commercial banks in the 2000 election cycle — and he wasn’t even running for office! As a liberal Democrat, his appeal to this industry might seem unusual, but true love doesn’t discriminate, certainly not against members of the Senate Banking Committee. Capitalist democracy is fairly efficient, but it’s not particularly fair — and it doesn’t need you to finance it on the fringes. 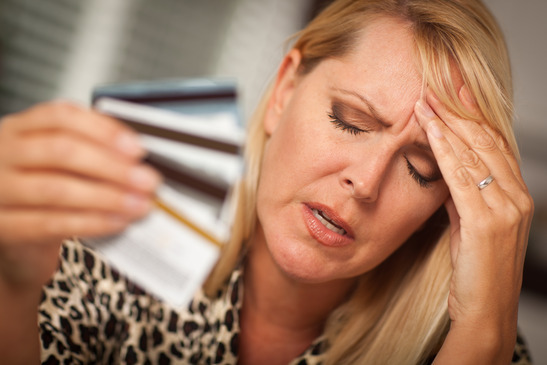 Steer clear of credit-card debts if you can, pay them off when you can and keep your eyes open when you can’t. With the average household debt in the UK currently standing at just under £8,000 and rising to a whopping £55,000 if you factor in home loan* debt, the number of people worried by their financial situation is growing and is now the number one stress factor. There have never been so many reasons for debt than there is today – almost everyone has a financial debt of some kind. Yet debt remains one of the last British taboos. Many people still view debt as something which should be swept under the carpet and they continue to struggle on alone, increasing their stress levels as their debt problems spiral out of control. Debt comes calling when you have more outgoings than income. This can occur for many reasons including unforeseen expenses like major work on the car, vet bills or similar. While it is a natural reaction to go through the household budget cutting out what you deem to be unnecessary expenses, this can send you from the frying pan to the fire as you are now viewing your finances in a panicky, emotional state of mind. It doesn’t have to be like this. Stop, take a step back, breathe, and remember no matter how bad you think your current situation is there are practiced professional debt experts out there who can help. Look for the UK’s accredited and approved list of debt management companies, who exist to help people just like you. Within the company you will also find debt consolidation experts and IVA advisors so that whatever route you take out of the debt maze, there is a professional to guide you along the way. All sorts of people get into debt but the trick is getting out in the most sensible and cost effective way possible. Under the wing of a good debt advisor you will be in the best position to get from the red to the black again. Your debt advisor has the power to negotiate manageable repayments with all of your creditors on your behalf so you need not worry about creditors hounding you for payment. All your debt issues will be dealt with by your professional debt representative, and all you need to do is make the agreed repayment amount on time. 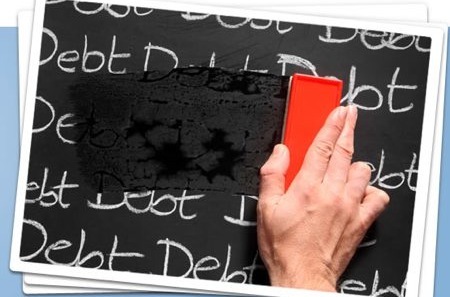 Call in the help of the professionals and you can move towards becoming debt free. When does debt consolidation make sense? If you’re one of thousands in the UK looking for a way out of debt, you will surely have heard about debt consolidation. There are many good reasons for this: Debt management plans involving debt consolidation have become an important tool to curb bankruptcy and put debtors in control of their finances again. The reason why debt consolidation has proven so particularly successful is because it is, at least on paper, a strikingly simple procedure: Rather than having to deal with a plethora of creditors, your various payments are consolidated into a single one, payable to a debt management agency. As part of the process, monthly instalments tend to be lower than before and stretched out over a longer period of time. Ideally, you will find yourself with more time at your disposal to focus on your work and family and you will no longer need to worry about creditors hassling you and there not being enough money at the end of the month for even the most basic purchases. And yet, debt consolidation is anything but a panacea. Although there are cases, when debt consolidation can lead to a lower overall debt burden, this usually isn’t the case: Most creditors wish to be compensated for extending the lease of their loan and this means having to pay off more overall. … if your current income situation is highly volatile and if it doesn’t look as though it will substantially improve any time soon. In cases like this, debt consolidation can mean that you are merely running up more debt by extending the lease of the loan, while not being to pay it off anyway. If you know that you cannot meet your obligations, you should seek serious bankruptcy advice and perhaps even opt for a controlled personal insolvency instead. … if you can actually meet your obligations on the basis of the current payback scheme. Debt consolidation is not a financial tool to be toyed around with or to be applied casually if it seems convenient. Rather, it offers help for those in serious debt trouble. If you can meet your obligations, why try to find a new solution which may actually end up with you paying more than previously agreed to? … if it distracts you from paying off your debt. Because debt consolidation usually means having to pay lower monthly instalments, you will typically have more money to spend on entertainment and leisure. Whether or not this is a good thing depends on your attitude to spending: If you can trust yourself to put the money to good use by putting it on the bank, for example, then this makes sense. If you know you’ll instead waste it on a night out with the lads, then you should reconsider whether debt consolidation is really the right choice for you. … if you have a stable income, but just not enough money to pay off your current monthly instalments. In this case, changing your current debt plan to meet your financial possibilities is a great option. Creditors will naturally be interested in avoiding you going bankrupt and will be likely to agree to a change in plan if this means you’ll be able to pay them back in full. … if you’re running a serious risk of going bankrupt. Debt consolidation can keep you from having to apply for insolvency and allow you to maintain a strong credit rating. If this means having to pay off more overall, then that is certainly a benefit worth paying a premium for. … if you have multiple loans. It is by no means unusual for many households to have piled up debt with many different sources. The disadvantage of this lies not only in the actual money owed, but also in the fact that having to deal with a plethora of creditors is a cumbersome process wasting a lot of valuable time and resources which could be better spent thinking of ways to improve your situation. Debt consolidation can take a considerable weight off your shoulder and create a situation where you can actually keep track of your finances again. … if you believe a renegotiation can get you a better deal. 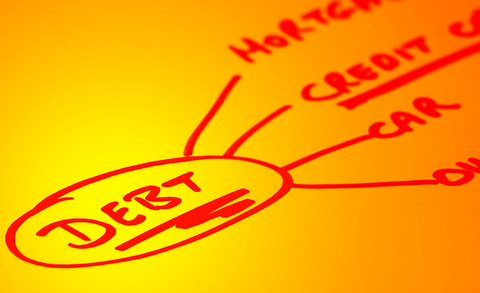 In some cases, debt consolidation can actually lead to a lower debt burden. This is by no means a given, but there may be reasons to believe you stand a chance. 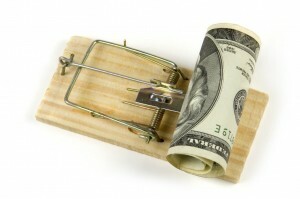 How To Get Rid of Your Overdraft For Good! When you open a current account you may be offered an overdraft facility by your bank. Having an arranged overdraft limit can seem like a good idea at the time, but if you need a reliable borrowing facility, overdrafts are not the best option. Arranged overdrafts are great if you occasionally need some extra financial breathing space or to give you peace of mind if you do not know how much is going out of your account each month. The downside is that they can be cancelled by your bank at short notice, leaving you with the entire amount to pay off in one go or having to face huge interest charges. 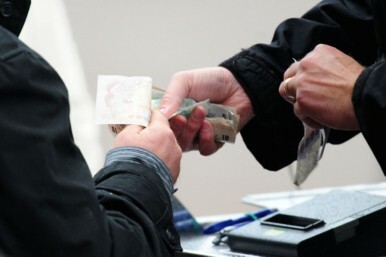 So if your overdraft has become unmanageable, just how do you pay if off for good? The first step is to take firm control over your finances, as you need to know exactly how much is going into and out of your current account each month. Without preparing a formal budget it is difficult to analyse your spending, as there is so much financial activity going on in your current account each month. Start afresh with an additional current account with no overdraft facility. Make sure your salary is paid into the new account and have all the standing orders and direct debits moved over. The idea is to recreate your old account, but without the borrowing. Researching online at So Switch for a better current account does not take long and you may discover one that is better suited to your circumstances. Switching bank accounts is not as arduous as it once was, as most banks in the UK now have staff dedicated to this task. However, after comparing current accounts online, it may be in your interests to remain with your bank, so change your account only if you think you will benefit. Check that no standing orders or direct debits will come out of the original account, including annual payments which are easily overlooked. Now that you have a detailed picture of what you spend each month, set up a monthly standing order to pay a fixed amount to clear your overdraft. Depending on how much income you have left after paying all the necessary monthly outgoings, including petrol, food and clothing, even a small amount paid towards your overdraft will reduce it steadily. You will be able to see exactly how much you owe at any given time, as the amount is isolated in your original current account. Once your overdraft has been paid off you will be in a position to redirect your standing order into a savings account, so that you have money available in the event of an emergency or as a nest egg for the future. Taking control of your finances gives you the motivation to reduce unnecessary spending and avoid going further into debt. 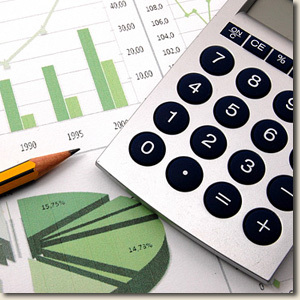 The most important action to take is to prepare a comprehensive, detailed budget. It may take some time to complete, particularly if there are many direct debits and standing orders, but it is the key to paying off your overdraft in a sensible way. Post supplied by Paul, a British finance blogger for SO Switch. Should I Hire Someone to Make My PPI Claim or Do It Myself? Great news! The money which was taken from customers by unscrupulous banks is being returned to them. Following the High Court’s decision, banks have set aside billions of pounds to be repaid to customers who were mis sold Payment Protection insurance through aggressive sales tactics – and customers are claiming in droves. But like most things to do with financial institutions, it can be a lengthy and complicated process. So how do you know if you should make the claim yourself or if you should hire someone to do it for you? The first thing to consider is how old your policy is. There has been a time limit placed on making a Payment Protection Insurance claim; you’ll need to make the claim within six years of the policy’s issue for it to be valid. There is, however, a loophole: if you only became aware that you might have grounds to complain, then you have three years from that point to make your claim. If your policy is fairly recent, you stand a good chance of being able to claim your cash back. The second thing to consider is whether you have all the paperwork from the policy. Paperwork plays a huge role in all claims and you will likely be required to produce documentation. Finally, you need to consider if you’re comfortable with making the claim yourself – you’ll need to be confident dealing with big financial institutions, good with numbers, comfortable with your legal rights and well-organised. If this is you – excellent! Submit a complaint to the financial institution that sold you the policy and expect a response acknowledging your complaint within five days. From this point, the bank has eight weeks to determine if your claim is valid. If you are dissatisfied with the bank’s response, you can take your case to the Financial Ombudsman Service within six months, who will then review your case and make a ruling. In 75% of cases, the FOS rules in favour of the customer, but there is a large backlog of cases. If you’re not comfortable dealing with the banks, or if you don’t have the time or inclination to make the claim yourself, or if the claim is particularly complicated, you should consider hiring a professional to take care of the process for you. 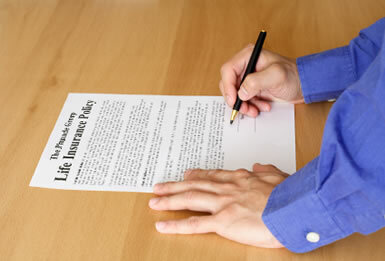 Professional firms are experienced in dealing with these claims and can expedite the process. Many firms work on a no-win, no-fee basis which is convenient since it minimises your risk. Make sure you find out what percentage they will take and that you are dealing with a reputable firm. They’ll guide you through the process and take care of the paperwork.